Big Squid RC Live # 30 – update « Big Squid RC – RC Car and Truck News, Reviews, Videos, and More! The Live show is now over, but make sure to catch the replay on Youtube below. If you see a black square, or nothing below, we aren’t live yet. If it’s past 9pm cst, hit refresh to watch us live, or catch the replay! 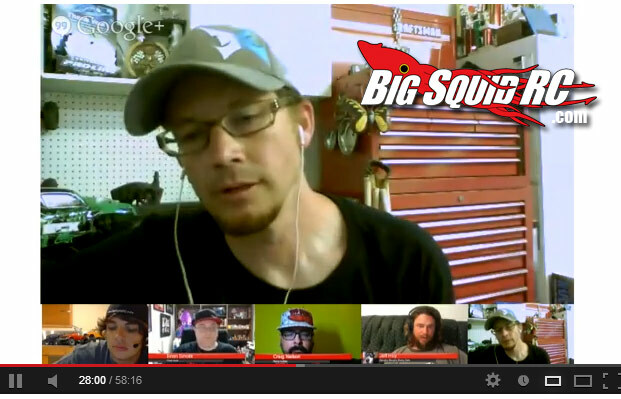 If you haven’t seen any of our shows, or know what we are talking about, check out the Big Squid RC Live link. Last week we had special guest Scott Hughes from Horizon Hobby / ECX / Pro-Boat, and everyone had a great time.